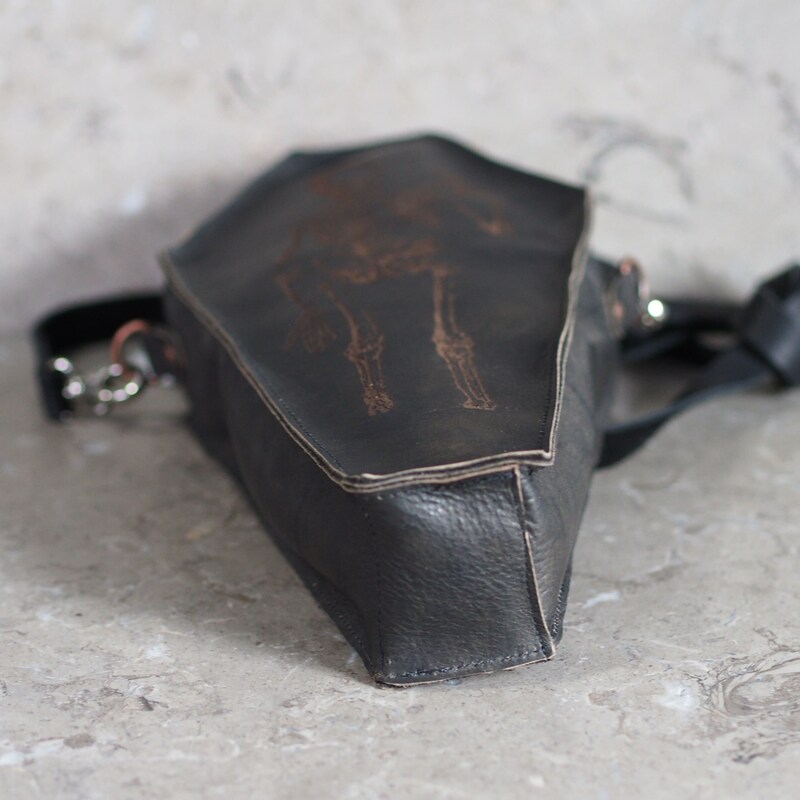 Mottled black cowhide coffin shaped purse is laser etched with a vintage standing skull holding an hour glass design, and used for the front of this unique purse. 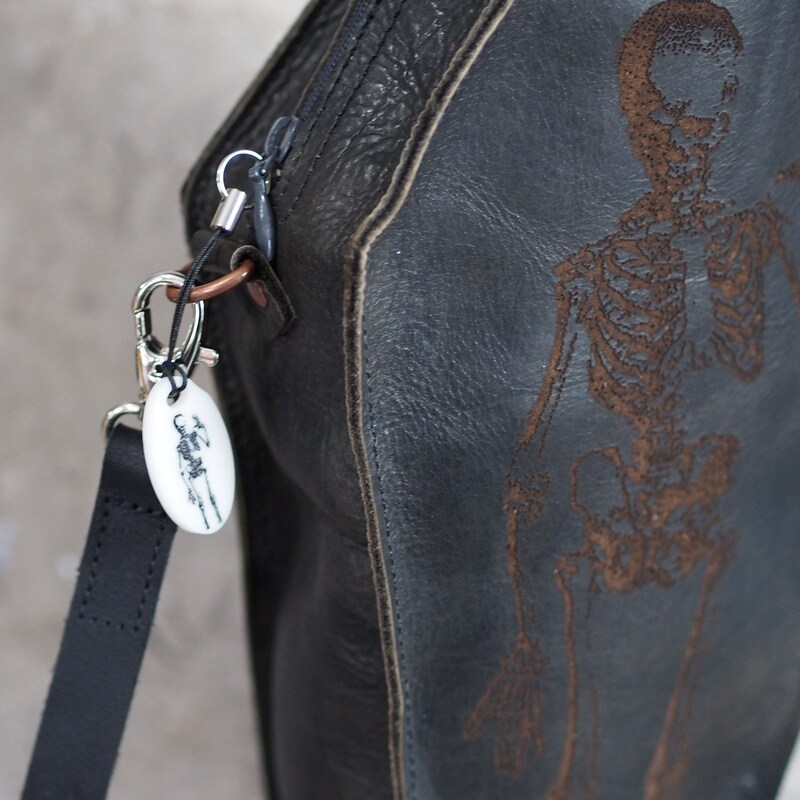 The white acrylic "charm" added to the zip pull with a small lanyard (which is removable) was also laser etched with the same artwork, and black dye was applied that bonds with the etched regions to highlight the image. 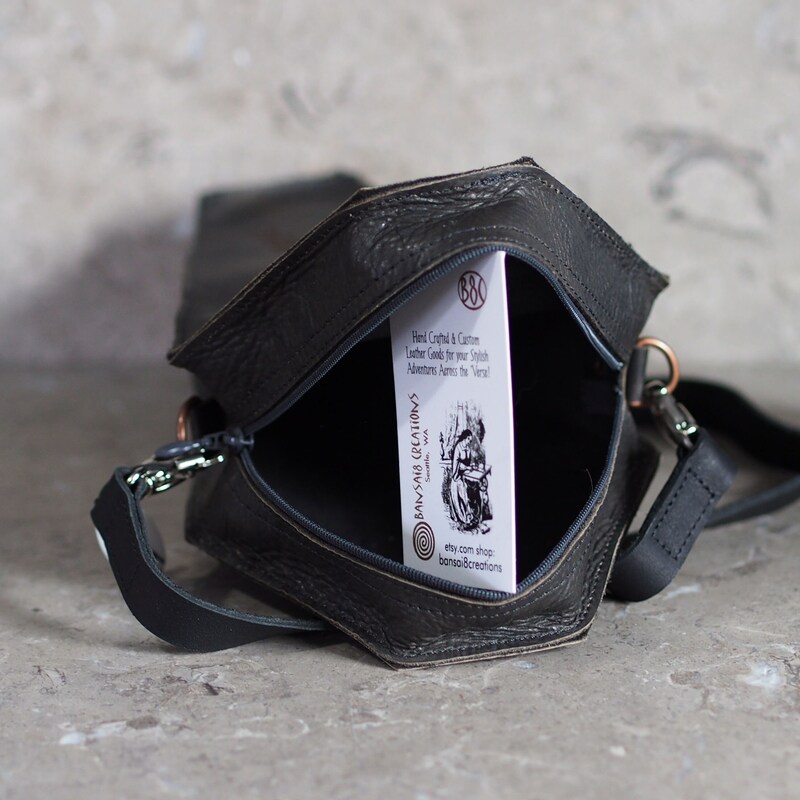 The purse stands 11" tall, is 6" across at the widest points, and tapers to 2" at the top and bottom, and is 2.5" deep, and has a 9" nylon zipper to allow for nearly full opening of the top. 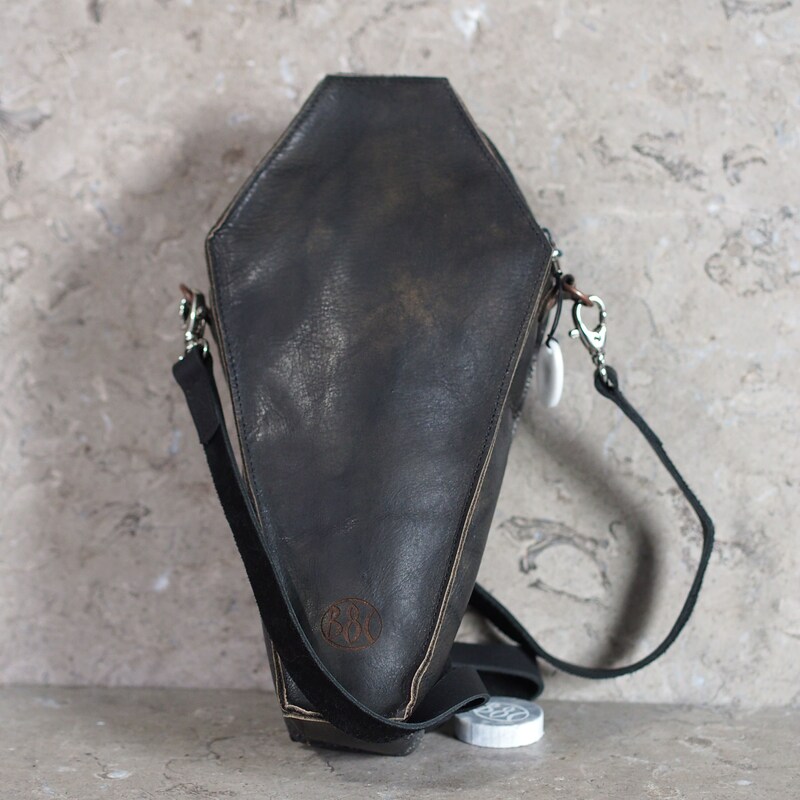 Not the ideal shape for every day use perhaps, but it's not meant to be your run-of-the-mill bag. 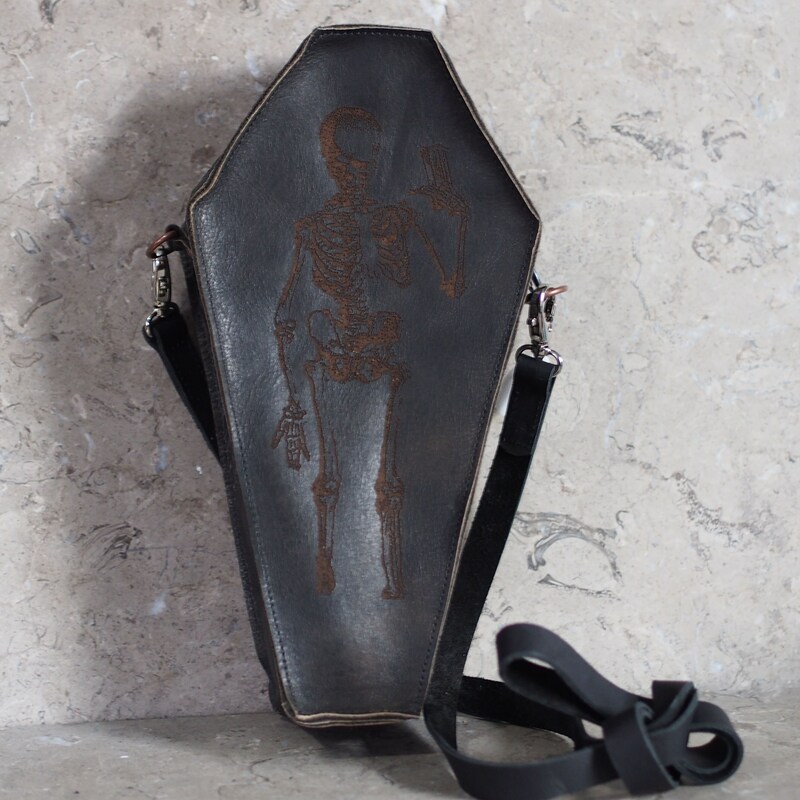 The copper d-rings are affixed to the center of the gusset on either end of the zipper, so the coffin stands upright when worn with the strap. 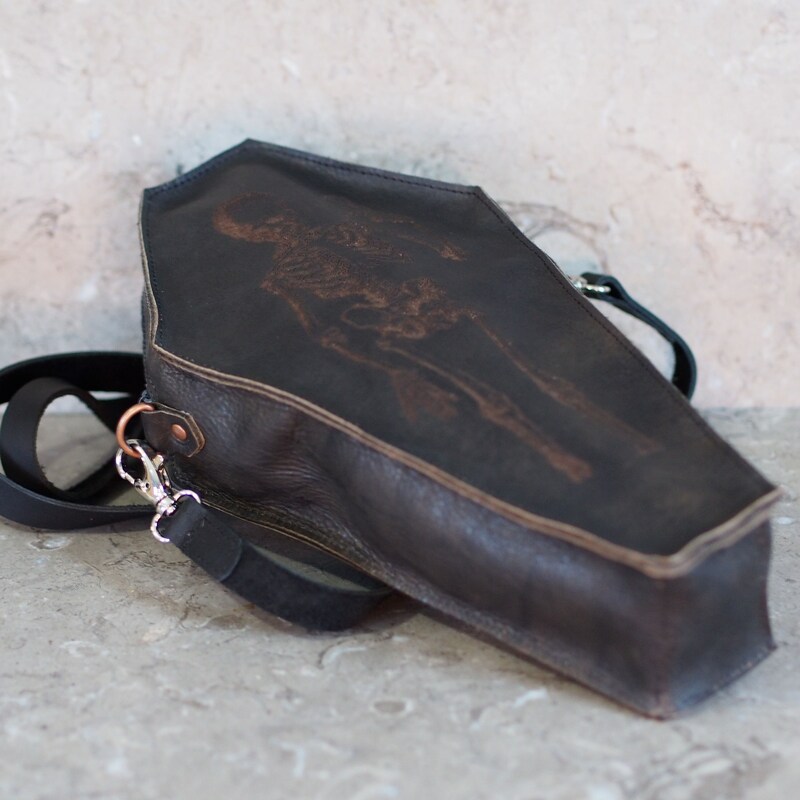 It is a simple black cowhide strap, 5/8" wide with polished nickel swivel snaps, and supple enough to tie to adjust the length, which is 56", intended to fit most when worn cross-body style. 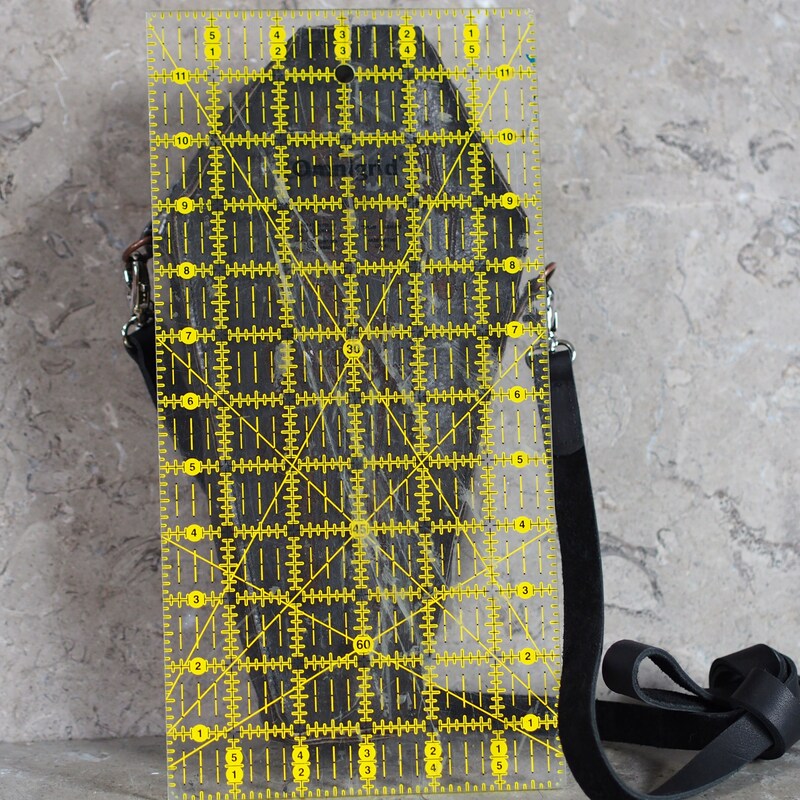 My logo has been laser etched near the foot of the back of the bag. 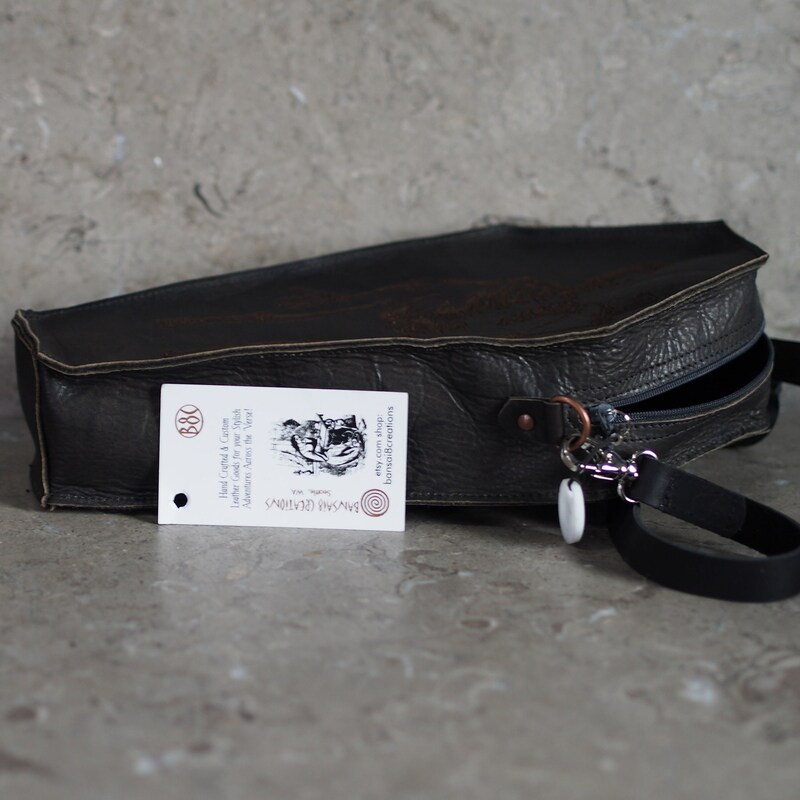 The laser etching for the design and logo is not so deep that it comprises the strength or durability of the leather. 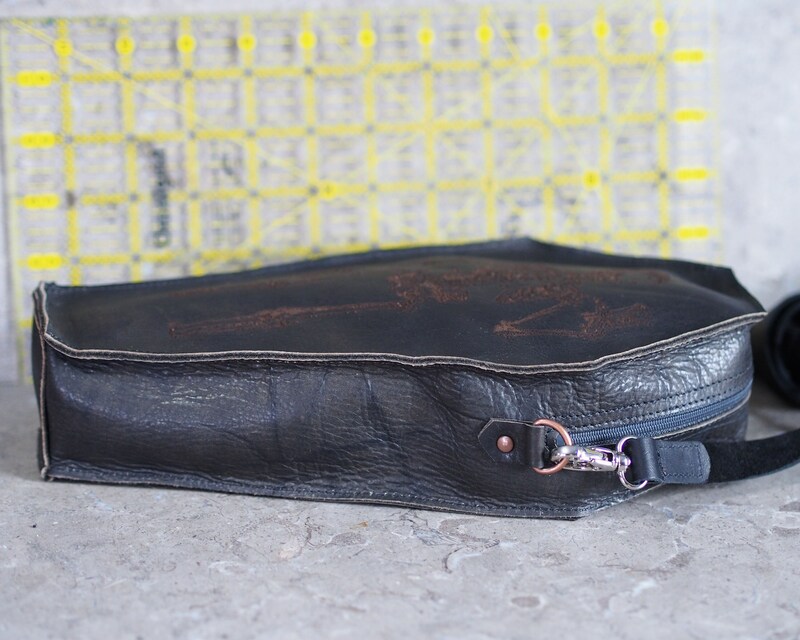 It's been rinsed and scrubbed to remove the soot from the etching, and it is still highly water resistant, and the leather's finish does bead water off the surface. 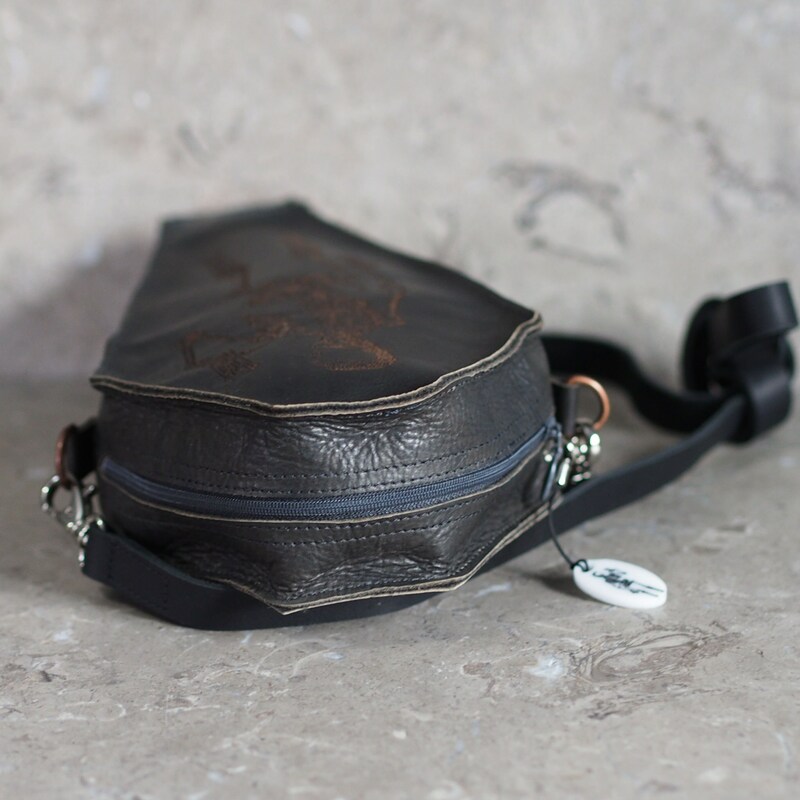 I can add a loop to the back for wearing this on a belt up to 2.5" wide, and set so doesn't show when using the shoulder strap at no extra charge, just include request in the note to seller on the order.